The Golden Age is the period of Audonian history spanning the duration of the Oduniyyad Caliphate’s dominance in Audonia, western South Punth, and parts of southern Ixnay. It lasted from 624 until 1517. It generally correlates with the medieval period in the Occidental world. 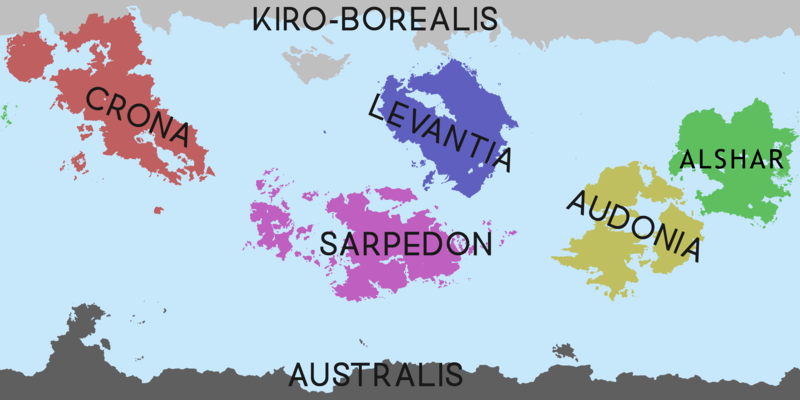 Following the collapse of the great empires of Classical Antiquity in northern Ixnay and southern Levantia, those continent’s states fragmented into a myriad of disjointed petty kingdoms. During this period Audonia experienced unprecedented unity and growth. The Caliphate period is considered the Golden Age of Audonia and hosted the most scientifically, medically, and mathematically advanced civilization in Greater Ixnay at that time. Under the auspices of the Oduniyyad Caliphate, the Great Library of Muqadas hosted an academy that drew the world’s best philosophers, poets, mathematicians, astronomers, physicians, physicists, engineers. It was also a period of dramatic religious and military expansion. Starting with the conquest of the cities of Muqadas and Al-Aqdis until the Caliphate spanned three continents, the Oduniyyad Muslims grew a massive, multi-cultural, and tolerant empire that left a lasting mark across most of the southern hemisphere of Greater Ixnay. The empire’s greatest extent was reached in 1028. In 1031 a massive split occurred with the Shia faction dominating the Caliphate’s territory in South Punth. The core of the empire remained strong in Audonia and southern Ixnay. Welcome to IxWiki, the community project to document the lore of Greater Ixnay. This space is opened-ended and a great place to develop our nations and show each other our creativity. If you are new, please read our Standards and Conventions, or if you are new to writing wiki-styled articles check out Wikipedia's Manual of Style. Before you upload pictures check out Commons, maybe they have what you need. Duplicate pictures will be deleted periodically. If you need an infobox imported, please check out this first. This wiki currently contains 1,675 articles. Urcea and Caphiria come to an agreement on the permanent status of Ecinis and Dorhaven. After months of crisis, Roseney willingly becomes a crown colony of the United Kingdom. April 4, the Great Cronan War begins with the Vachenan invasion of Horholme. De Franse keizer en generaal Napoleon overlijdt op Sint-Helena, waar hij in ballingschap verblijft. Tussen Brussel en Mechelen wordt de eerste spoorweg op het Europees continent in gebruik genomen. This page was last edited on 5 May 2017, at 23:38.